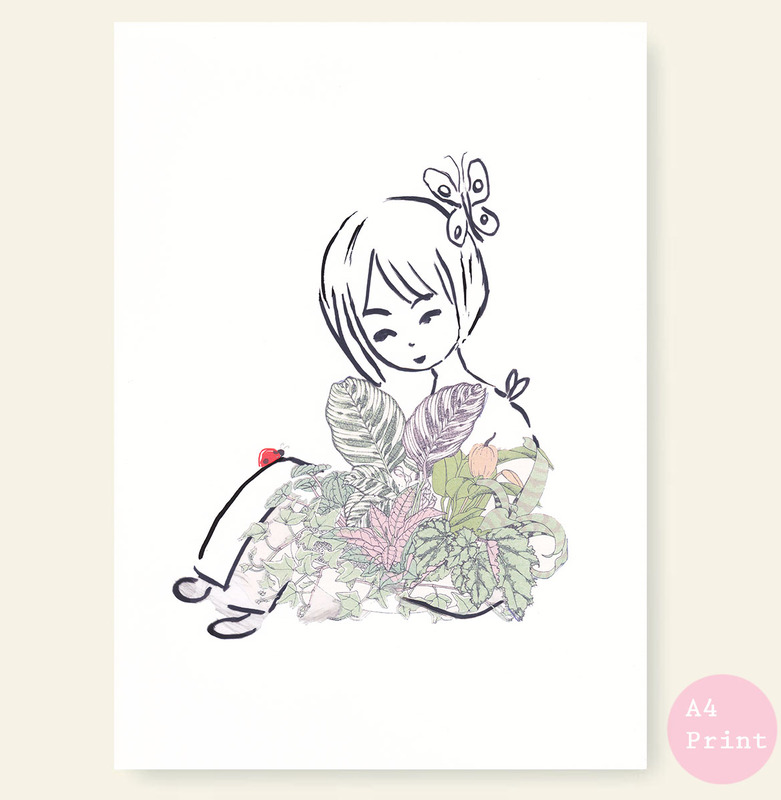 A delightfully spontaneous sketch I made around a found cut out image of plants from an old gardening book. All scanned and prepped up in photoshop. A4 print available through Etsy.